KUALA LUMPUR (Feb 26): Malaysia's 50 richest, as compiled by Forbes, saw four new faces this year - two of whom are real estate tycoons - while Sugar King Robert Kuok, who saw his net worth slipping US$200 million on-year due to the plunge in commodity prices to US$11.3 billion this year, is still the richest man in Malaysia. The four new Malaysians who made it into the list this year are: real estate tycoon Khoo Cheng Hai (at No. 45, with a net worth of Us$285 million), who broke into the list as shares of his KSL Holdings Bhd doubled; packaging specialist Lim Teck Meng of Scientex Bhd (No. 46, Us$280 million), oil-ship fabricator tycoon Ng Chin Heng of Coastal Contracts Bhd; and co-founder of United Overseas Australia Ltd, Kong Chong Soon, (No. 50, US$240 million). In a statement today, global media branding and technology company Forbes Media, which publishes the Forbes Asia magazine that featured the list, said the minimum net worth to make it on to the list this year is US$240 million, up from US$220 million a year ago. 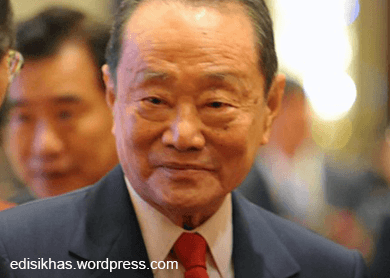 Kuok, 91, who made it on to the list for the tenth straight year with an empire that spans palm oil, sugar, shipping, real estate and hotels, has held on to the top spot throughout the period. The Kuok Group today controls several listed companies in Hong Kong, Malaysia and Singapore. Coming in second place is telecommunications mogul T. Ananda Krishnan, with a net worth of US$9.7 billion. Krishnan had seen his wealth drop by US$1.6 billion in the past year, partly because of a slump in the shares of oilfield services provider Bumi Armada Bhd, in which he has a stake in. "[However], telecom assets make up more than half his wealth, led by his controlling stake in Malaysia's Maxis [Bhd]," said Forbes. Banking tycoon Tan Sri Quek Leng Chan, who saw his net worth fall by US$800 million from a year ago to US$5.6 billion, is third on the list. "His privately held Hong Leong Co holds stakes in sectors from food to finance, on top of investments in oil and gas, which include stakes in Indonesia's Samudra Energy, Malaysia's Scomi Energy Services Bhd and Alam Maritim Resources Bhd and Singapore's Ezion Holdings Ltd, a supplier of support vessels for oilfields," said Forbes. Casino tycoon Tan Sri Lim Kok Thay of the Genting Group took the fourth spot with a net worth of US$5.5 billion, down from US$6.5 billion last year, as China's economic moderation affected the region's casino gaming and entertainment sector. Tycoons with significant investments and ties to the oil sector suffered a decline in their net worth. For example Tan Sri Mokhzani Mahathir, an investor in oil and gas services provider SapuraKencana Petroleum Bhd, saw his net worth fall to US$700 million. "The main investors in SapuraKencana - brothers Tan Sri Shahril Shamsuddin and Tan Sri Shahriman Shamsuddin - also saw their fortunes drop to US$860 million," said Forbes. Sabah-based tycoon Tan Sri Lau Cho Kun (No. 15), reached the billionaire ranks on more robust plantation and trading revenue with a net worth of US$1.08 billion. He holds the largest stake in Hap Seng Consolidated Bhd. Software tycoon Dr Goh Peng Ooi (No. 9, US$1.55 billion) saw his net worth increase by some US$450 million. His Silverlake Axis now provides financial software for 40% of Southeast Asia's banks. The list was compiled by Forbes using shareholding and financial information obtained from the families and individuals, stock exchanges, analysts, private databases, the Companies Commission of Malaysia and other sources. The net worth figures are based on stock prices and exchange rates as of the close of markets on February 13, 2015.